Stock is a wonderful substance - not only is it good for amazing base for soup - but the gelatin helps heal the gut, the minerals and protein from the bones is made more bio-available, and it aids digestion. There is a reason why chicken noodle became a traditional healing food. The power is in the broth! I won’t go into how to make stock here, though I will assure you, it is really easy. It freezes well, and keeps for a week in the fridge. Here are a source to get you started. Since it is summer time, I'm not as excited to eat soup very often, but I do love egg drop soup for breakfast. Eggs are wonderfully nutritious and also easily digested, and throwing in an onion is also healing and yummy. If you really want to be fancy, add some fish sauce or tamari. Yum! Heat broth on the stove on a med/high fire. While it is heating, add the chopped onion and stir. The GAPS inspired way is to cook it such that the egg yolk is partially raw when finished. This method allows the yolk to be cooked less, since it is more nutritious when it is raw or nearly raw. To do this, you add your eggs into the simmering broth (gently!) and then swish your spoon back and forth a little to incorporate (and cook) the whites. The yolks you leave intact. Once the white part is cooked, turn off the fire, stir the yolk in, and add your seasonings. 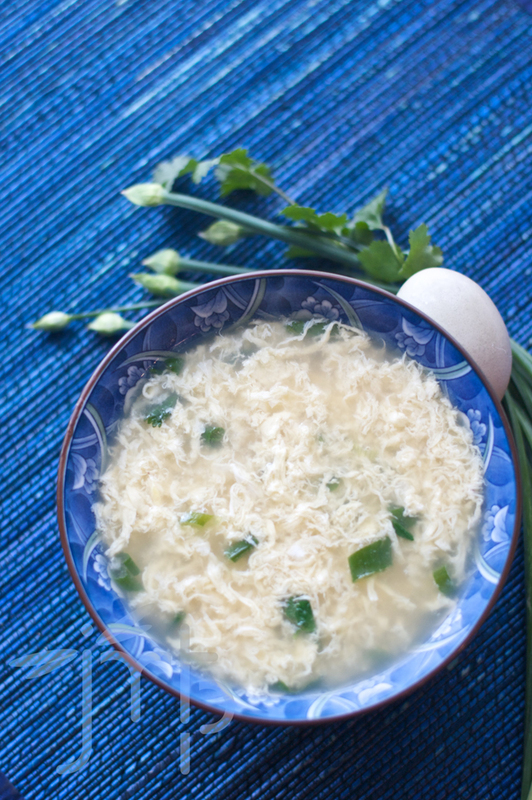 For a more traditional egg drop soup, beat the eggs before dropping in hot broth, a little at a time, stirring slowly all the while. Turn the fire off as soon as you have added all the egg. You could also double or triple or quadruple this recipe so you have a quick breakfast all week. Just get the broth closer to a boil the more eggs you are going to be adding in it. It even tastes good cold, but if you have a good stock, it will probably be really jiggly fresh out of the fridge! I definitely think green onions are probably the way to go with this--I used a regular onion and it wasn't as flavorful as I wanted. Maybe if I'd put more veggies in the stock when I made it it would have been better. But we liked it a lot! This is my new favorite thing. I definitely prefer green onions, and I like to simmer a chunk of ginger in the broth for a bit before adding the eggs. It's great with a splash of tamari and some fresh cilantro too!